The conventional way, you can hire a website developer or a website designing and building company to get your website made and live. However, the times have sure changed and the advanced technologies and customer-centric platforms have made creating a website as simple and easy as never before. Creating your website can now be even fun and has comparatively become a much painless process in recent years. You no more have to worry about coding and cryptic terms like HTML and FTP. However, today the challenge you face is to find an online best website builders among the various available options in the market that is right for your needs. A free online website builder can be just the right solution, more so for the beginners and do-it-yourselfers, who don’t have much experience in website designing area and yet they want to build their own website. If you are one of these people and you have decided to take the do-it- yourself route then make sure to choose the right platform for website building. Each online website building software has a unique approach for website designing, building and editing and therefore, it is important to do some research so you can make a well-informed decision in favor of certain platform that best fits your vision and requirements. 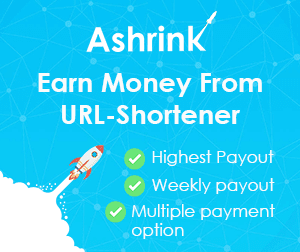 If you are continuing to read this article that means that you are currently looking for the free online best website builders or you will soon be needing one. Unfortunately, the bad news is that there are quite many website building software and with almost same services and features being offered it can be rather hard and confusing when making the decision. However, the good news is that if you are reading this then you are at right place and with help of this article you not only sort out between the diversity of web development platforms but you will also be able to choose the most suitable platform for website building and that too one of the free ones. Here is everything you would want to know about 5 legendary top best website builders, including how they work, the important aspects of the services offered and all other factors that will help you take the necessary decision of choosing your free website creator. Webgen offers its users both free and paid packages. A user can use and benefit from the free package by simply creating their free account on the platform and if they choose to they can later upgrade to a paid package via the instructions available on the website. Moreover, there are also video tutorials available to help you easily get familiar with the program and to give you a very clear idea on how to use the platform to build your website. The website development platform of Wix is mainly inclined to make the process of building your website most easy and simple for you. Wix is one of the most well-known website development platform because of its highly effective promotion campaigns, as being an effective and user-friendly tool particularly for the non-web developers. From a one page website to a multi-category online store, Wix can be used for many purposes, by anyone with or without the know-how of building websites through the drag and drop interface. Through the Wix App Market, Wix platform can be well integrated with other apps and services, which will allow addition elements in your website including contact forms, embedded HTML and social media feeds. Moreover, where Wix has many enticing features, there are also some aspects where Wix fails to impress its users. One of these aspects is the blog option which takes too long to upload at times and the end result is not well enough as that of the competitors like SquareSpace. Moreover, as a Wiz user you cannot find a way to export any data from your website, if in future you decide to switch to some other platform. However, if you think you can overlook these few downfalls of Wix then it is a great platform to build stunning websites on. No codding knowledge is required, it’s rather easy to build mobile-friendly websites, and you get clean URLs and 500+ website template options and they have both free and paid plans available. Webgen is again a free online website builder, it’s simple and intuitive website interface makes it possible for everyone, whether they are a computer or web pro or not, to create their own website within a couple of hours. You can also buy domain name for your website from Webgen. Webgen offers a number of pre-designed website templates that are subdivided according to different industries to make it easier for the users to pick their web template. Under each industry there is a variety of templates to help you pick a template that best fits your vision and requirements. Webgen also provide drag and drop feature, where it allows you to further customize your website by using a unique combination of website elements available to make your web design. Some of the industries covered by Webgen include Photography, Events, Fashion & Style, Business & Services, Education, Health Care and Restaurants & Beverages. The website building platform SquareSpace is more inclined towards people from any creative profession. They have a lot of extraordinary website templates for creative individuals or companies like photographers, artists, restaurants, bloggers, weddings and musicians. Their website template designs are known to be more simple and yet elegant and visually very strong with large images. However, like another market competitor Weebly, templates of SquareSpace are less customizable but they do provide clean and semantic URLs and their templates designs are SEO and mobile responsive in true manner. The platform is moderately easy to use for users, it has editable CSS code and provides 80+ website templates. However, SquareSpace doesn’t offer a complete free plan, what they do offer is a 14 day free trial, where you can get a good idea about how the platform works and how it can help you add value to your website. Moreover, the plans at SquareSpace go from $12 per month for a personal plan to $18 per month for a business plan. You can upgrade to a paid plan after starting with 2 weeks free trial without providing credit card information. SquareSpace also allows you to make most from their strong community knowledge base and you can get help and ask your questions. Weebly is one of the most popular online website building platforms, it provides its users with a user-friendly interface with drag and drop feature and it is inclined more towards needs of blogging and ecommerce websites. Since the creation of this platform in the year 2006, Weebly has grown to have over 40 million active users on the platform. Weebly also happen to enjoy a great public reputation. In the October of 2015, Weebly launched its improved version, called Weebly Carbon, it enabled the users to also add plugins with other features. It is considered to be one of the best options available in the market. Weebly is user-friendly and at the same time it is also appreciated by professional web developers, as it offers more flexibility with features like changing templates, exporting user website and editing SCC/HTML codes. These aspects and many more make Weebly a great fit for small businesses, basic to medium-traffic ecommerce websites and personal websites. Weebly offers both free and paid plans, its SEO and mobile friendly, provide clean and semantic URLs, and offer competitive pricing. Even though, Weebly provide limited number of website templates but the web designs are modern and trendy. Websites made on Weebly have fast loading time because they are optimized for their own hosting. Weebly provide intermediate ease of use and a helpful customer support system via chat, email and phone. SiteBuilder is again one of the well-known online best website builders available in the market. They provide users with both convenience and maximum possible control to their website. The editor of SiteBuilder is easy enough to be used by everyone and at the same time it is professional to be appreciated by the website developing pros. 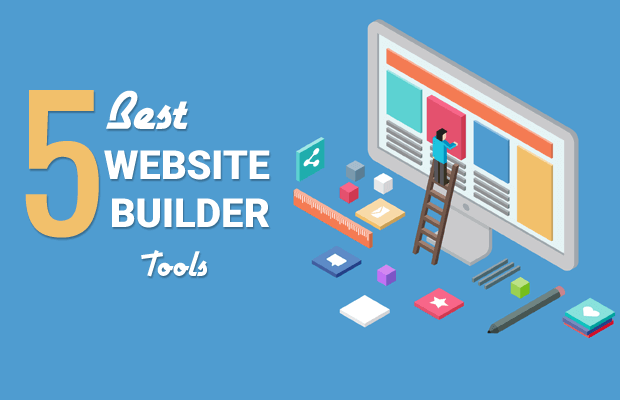 SiteBuilder allows you to build your website by picking the perfect option for you from their 10,000+ web design templates. It also provide its users email address accounts that are connected with their individual domain name, strong e-commerce & blogging capabilities, great SEO tools, clean & semantic URLs and SEO & mobile friendly websites. 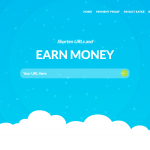 SiteBuilder has both free and paid plans for users and they offer users a free for life custom domain name to each client of their paid plan. However, some potential users may get confused and think that the free domain is with free plan as well, which is not true. Furthermore, plan renews for SiteBuilder are at higher prices. If you are a beginner or a small business then a free plan maybe just be perfect fit for you, it is easy on pocket, it is quick and it gives you online presence none the less. However, if you are looking for a big-scale website with the most modern and trendy elements and heavy images and videos files and a customized web design that makes you stand out between your competitors then it is recommended to pick a paid plan for the best results. Pick our website designs. 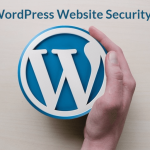 WordPress is also a great alternative to the website building as you can get amazing feature packed best wordpress themes and your website can easily be setup in almost no time. I am Kelly Adams and I am a blogger. 3 three ago I realized being out of the job market doesn’t mean I can’t do anything. Since then I am a freelance blogger and among other things I blog about new technologies and web and how they have changed the world we live. I write about everything web and technology including the top free website builders, to help my readers benefits from them. 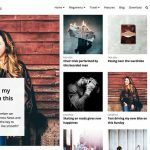 Moreover, you can go through our collection of Free Blogger Templates 2018 so that you can choose one and create your blog instantly with our very easy to use themes.